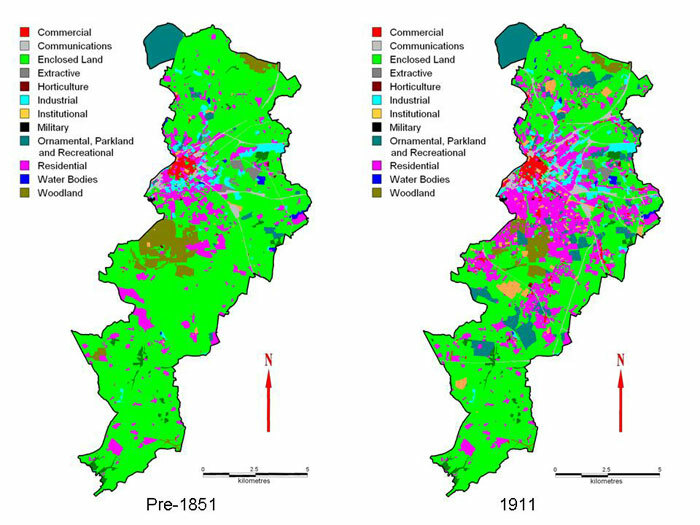 The Greater Manchester Urban Historic Landscape Characterisation Project (GMUHLC) is being undertaken by the Greater Manchester Archaeological Unit (GMAU), based at the University of Manchester. It is funded primarily by English Heritage, with contributions from AGMA, the ten local authorities which make up the Greater Manchester area. The project is being undertaken by two Project Officers, Karl Lunn and Elizabeth Forster, with Norman Redhead (County Archaeologist for Greater Manchester; GMAU) and Lesley Mitchell (Historic Environment Record Officer; GMAU) providing management and support. 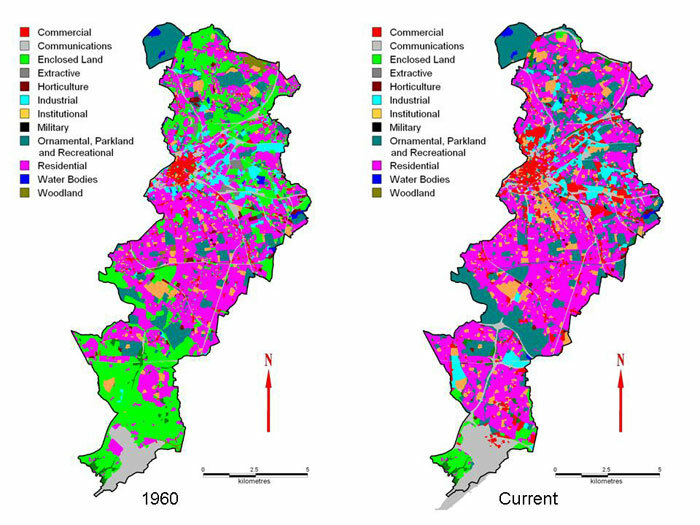 Since the early 1990s, there has been a growing awareness amongst those concerned with managing the historic environment that the scale of change within the landscape is a key factor affecting overall character. English Heritage have been developing characterisation as a way of understanding the processes that have created current landscapes, so that sustainable levels for change can be set which will allow character to be maintained. County-wide Historic Landscape Characterisation projects form part of a national programme supported and developed by English Heritage but carried out by local government, chiefly county council historic environment services. They aim, through a desk-based programme of GIS mapping and analysis, to achieve an archaeologist’s understanding of the historical and cultural origins and development of the current landscape. They seek to identify material remains at landscape scale which demonstrate the human activities that formed the landscape as it is seen today. HLC projects give broad-brush overviews of complex aspects of the historic environment. They provide a neutral and descriptive general understanding of the cultural and historical aspects of landscapes, and thus provide both a context in which other information can be considered and a framework for decision-making. Projects can be used to inform a variety of planning, conservation and management-led initiatives and strategies. Their objective is to promote better understanding and management of the historic landscape resource, to facilitate the management of continued change within it, and to establish an integrated approach to its sustainable management in partnership with relevant organisations. 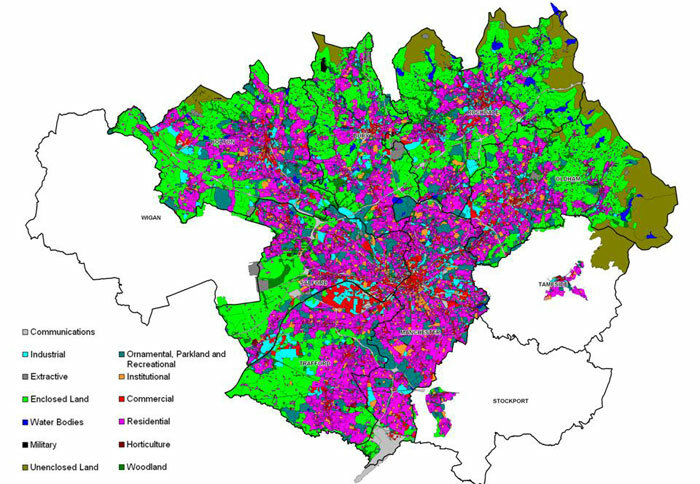 HLC is a GIS-based technique which leads to the creation of a permanent and renewable database. 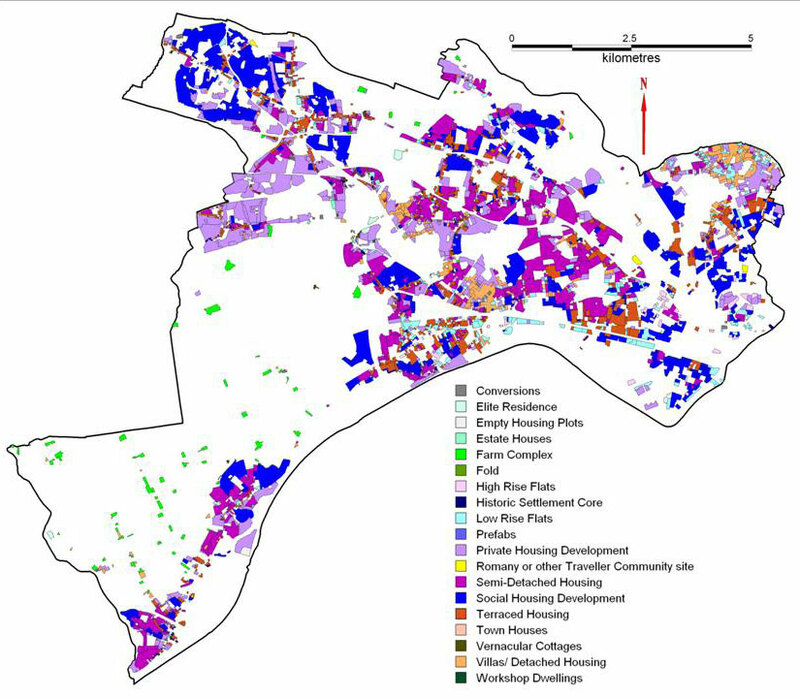 Its information is structured by the identification and grouping of archaeological, historical and other environmental attributes attached to land parcels (ie ‘HLC polygons’ within GIS). This method, unlike conventional landscape assessment, allows the creation of many different classifications of historic landscape types, each of distinct and recognisable common character. 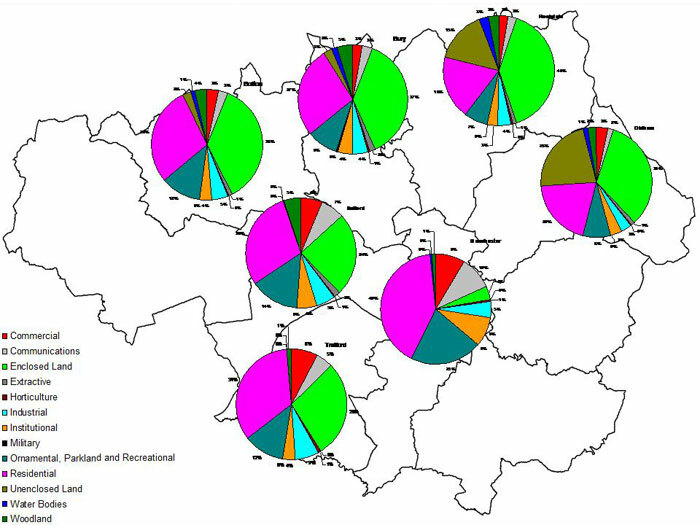 The distribution of landscape types can be mapped using GIS supported by written descriptions of the landscape types and the historical processes that they represent. To date, Bolton, Trafford, Bury, Manchester, Oldham, Rochdale, Salford and Stockport have been completed. For these areas GMAU have supplied the planning authority with the polygonisation data and an interim report detailing the results and providing management guidance tables. A power point presentation and demonstration of the live data has been given to each district. Tameside and Wigan have still to be done. Some 30,000 HLC records have been compiled and added to the HER database. The project will finish with a three month phase of analysis across the whole of Greater Manchester, archiving and dissemination of the results. Examples of the broad type characterisation and percentages are attached as illustrations.